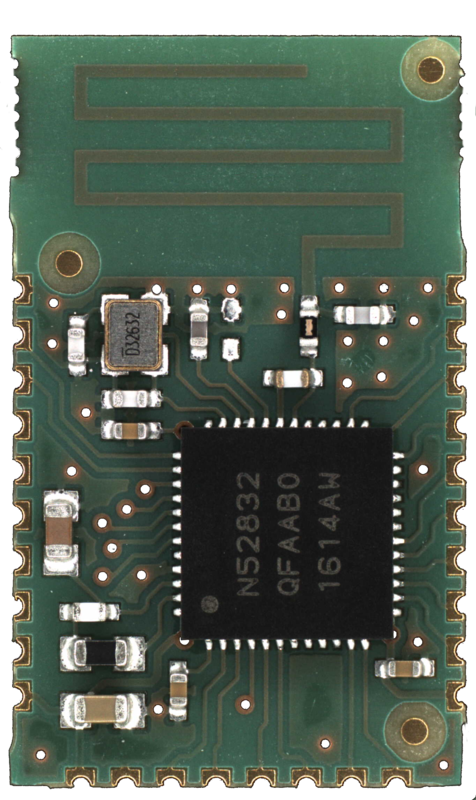 The LIO52 is a powerful, highly flexible, ultra-low power Bluetooth® low energy module based on the nRF52832 SoC from Nordic Semiconductor. With an ARM® Cortex™ M4F CPU, embedded 2.4GHz transceiver, and integrated antenna, it provides a complete RF solution with no additional RF design. Its small form factor makes it easy to integrate in any hardware design reducing development costs. Powered by the LINKIO BLE MESH software, the module is ready to be integrated in smart home appliances and is directly controllable by a smartphone. The MESH feature enhances the module capability to be part of a large and self-organized network of devices.